“I hold that the perfection of form and beauty is contained in the sum of all men. Durer, Albrecht (b. May 21, 1471, Imperial Free City of Nurnberg –d. April 6, 1528, Nurnberg), German painter, printmaker, draughtsman and art theorist, generally regarded as the greatest German Renaissance artist. His vast body of work includes altarpieces and religious works, numerous portraits and self – portraits, and copper engravings. His woodcuts, such as the Apocalypse series (1498), retain a more Gothic flavour than the rest of his work. 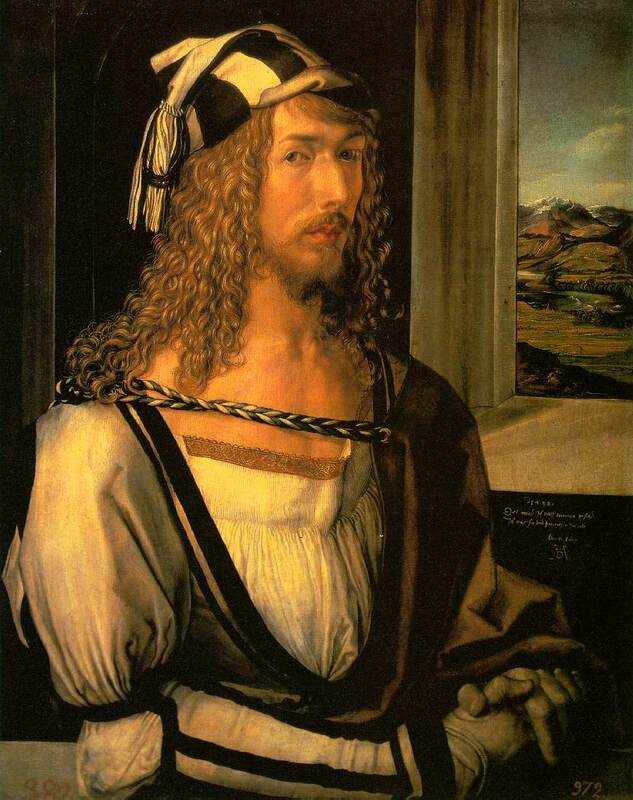 Born in Nurnberg as the third son of the Hungarian goldsmith Albrecht Durer. Began as an apprentice to his father in 1485, but his earliest known work, one of his many self portraits, was made in 1484. Died in Nurnberg in 1528. During 1513 and 1514 Durer created the greatest of his copperplate engravings: the Knight, St. Jerome in His Study, and Melencolia I–all of approximately the same size, about 24.5 by 19.1 cm (9.5 by 7.5 inches). The extensive, complex, and often contradictory literature concerning these three engravings deals largely with their enigmatic, allusive, iconographic details. Although repeatedly contested, it probably must be accepted that the engravings were intended to be interpreted together. There is general agreement, however, that Durer, in these three master engravings, wished to raise his artistic intensity to the highest level, which he succeeded in doing. Finished form and richness of conception and mood merge into a whole of classical perfection.